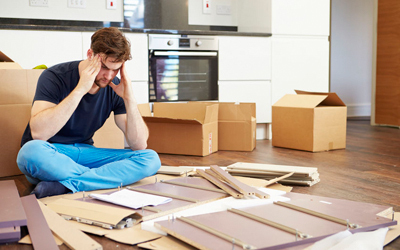 At Flatpax Buddy we like to keep things simple for clients that do not have either the "know how" or simply the time to assemble furniture products; and with an ever growing range of self assembly products to choose from it can become stressful and confusing. We use local tradesmen and offer a fully guaranteed and insured service. From missing bits to really badly translated instructions, flat pack furniture can be a nightmare for the average person. We are experts at building flat packs! If it comes flat packed we will build it - from beds to cupboards, storage units, office furniture, childrens furniture, and garden furniture. We cover Newcastle, Gateshead, Sunderland, South Shields, North Shields, Tyneside, Ashington, Cramlington - in fact the whole of the North East of England. "Chosen By You - Assembled By Flatpax Buddy"
Welcome to Flatpax Buddy - a furniture assembly service for the North East of England. 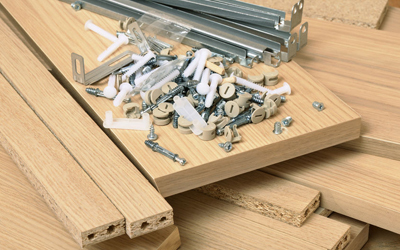 We have a small team of friendly, experienced and reliable fitters to build all types of flat pack products from your favourite high street retailers. Products assembled range from Home, Office and Garden Furnishings. Our office is based in Newcastle upon Tyne and we cover the North East area 7 days a week. Understanding our clients and their busy lifestyles is key therefore we offer a flexible approach in our availability working early evenings and weekends on appointments to suit. Our prices start from just £40 with no call out fee. For further information on self assembly fitting service please contact us. Incredibly efficient. Appointment arranged for the day after my initial phonecall. Jim and Gary were on time, polite and professional. Work was completed swiftly to a high standard. Great guys, friendly and communicable from the beginning. Came and worked on lots and lots of IKEA furniture that we didn't have the energy to do and did the lot in a day to a far better standard that we would've been able to manage. Really reasonable price, neat, tidy and kept me informed through the day when some of the things I had bought were the wrong size so I could sort it out. Would use again in a heartbeat!!! Thank you! Very impressed with the professionalism of this company. From the initial phonecall to the finished job, they were superb. Special thanks to Jim for assembling the dining room furniture,great job. I would not hesitate to recommend Flatpax Buddy to family and friends. These are just a few of the comments from our many satisfied customers who have used our furniture assembly services. See our Testimonials page and Free Index for many more. Content Copyright © 2017 James Rickerby.